GRATEFIX is a heavy-duty clamp that allows open floor grating to be clamped to the supporting steel from the topside only. 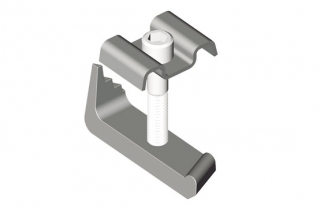 The Gratefix features a cast bottom piece that provides additional strength to clamp on to the steel flange. 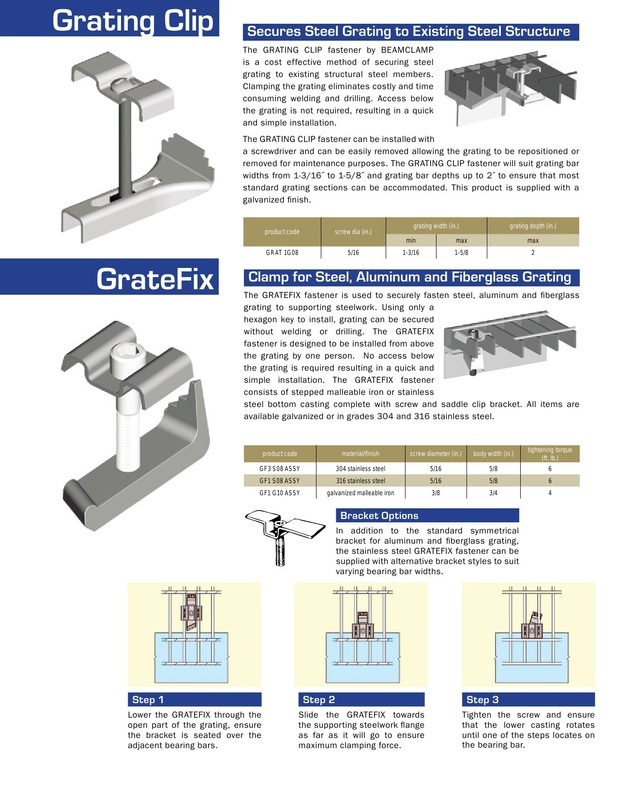 The Gratefix is available in several different styles to suit the grating dimensions and the application. 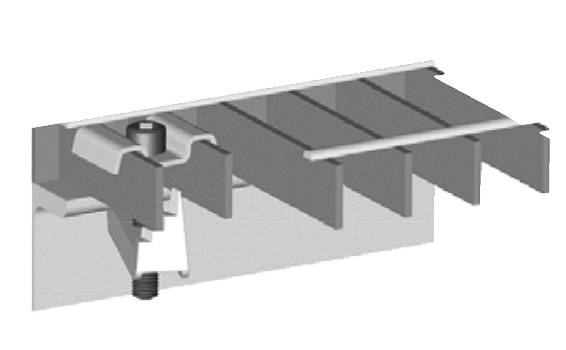 A mechanical galvanized M10 version is available with a symmetrical top bracket to suit 30mm ctrs grating or with an offset bracket to suit 30 to 41mm ctrs grating. The M08 version is also available in grade 304 and 316 stainless steel with a top bracket to suit 30 ctrs.